Scott Gowans and some Kagaroos' stars at North Hobart Oval on Friday. Traveling early might sound tough so some, but for North Melbourne Tasmanian Kangaroos coach, Scott Gowans, it's good to get it out of the way. “We are pretty happy with how the fixture has landed,” Gowans told media at North Hobart Oval, where the team will play Carlton in Round 1. Gowans is excited about the prospect of playing at North Hobart Oval, a venue he thinks will create plenty of entertainment for fans. 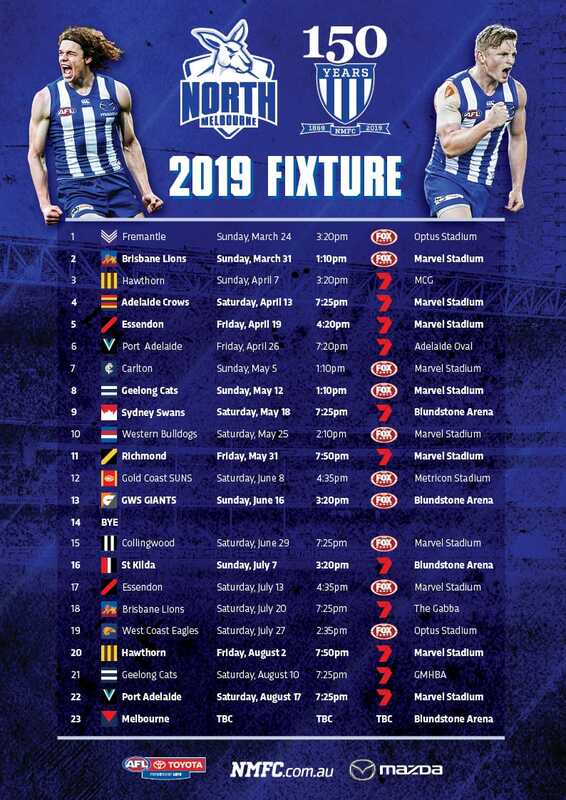 Gowans is confident that the Round 1 clash will draw a big crowd, with plenty of interest in his team coming from Tasmania as well as Victoria. “There seems to a lot of interest from what I have seen and heard," he said. 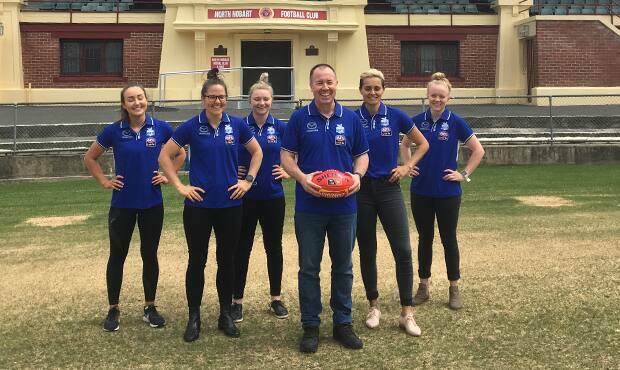 Although the Roos have attracted plenty of plaudits for the talented list they have built ahead of their first season in the AFLW, Gowans warned that a large portion of his list haven’t played at the top level before, an issue opponents Carlton won’t have. “The overall list build was an interesting exercise," he said. “We are very happy with the list we have put together, but when you look at it, 50 per cent of the girls haven’t played an AFLW game before. “When you add in the cameras and crowd noise and all of those factors, it’s still an unknown how they will handle it. Gowans' focus ahead of Round 1 is on how his talented team will work together. “The big thing for us is connection," he said. “If the players connect with us, and with each other, they will connect with the fans and create that sense of belonging, which is what North Melbourne is all about." In a somewhat unique situation, the North will play each of their seven fixtures at seven different grounds. “It’s interesting when you look at the grounds we play at," he said.